SDL recently released the latest version of their web content management and this releases has some interesting changes from an infrastructure perspective that I would like to highlight. Firstly, whilst not an infrastructure change, the product has changed its name from SDL Tridion to SDL Web. The new name, Web, says a little bit more about what it does (at a very basic level) but does somewhat reject the kudos and history that comes with the name Tridion. The name “Tridion” is distinct and easily recognizable, Web is a little more generic and bland in my opinion. The version number for the new release is 8 which is a throwback to the “R” releases of Tridion before SDL took over the Tridion company. The last product named in the “R” series was R5.3 and since then there has been the releases 2009, 2011, 2013 and now 8. It’s not directly logical that Web 8 should not actually be called Web 9, but 2009 and 2011 are really R5.4 and R6 respectively. The new release has some heavy focus on changes to make it easier to deploy and manage Web. First up is the improved cloud support. SDL always did support “the cloud” through the proxy of supporting specific operating systems and provided they ran as normal it did not really matter where they ran. This meant that an IaaS based deployment of Tridion was always possible. What SDL now means to say is that SDL now “supports specific features of some cloud providers”. Those are only AWS and Azure and nothing is mentioned about Google or Oracle as a platform. SDL Web 8 adds support for Azure SQL and Amazon RDS. 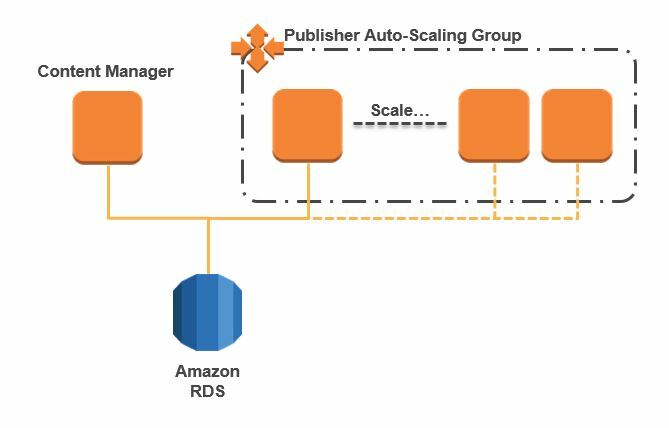 The documentation states “Azure and Amazon RDS” but this is an oversight as it means “Azure SQL” as Azure is the Microsoft cloud platform rather than a specific piece of technology. All this means is that you now take advantage of the database-as-a-service offerings from these two providers providing you are not using the SDL Web legacy pack (e.g. for VBScript templates), transactional core service code (you can write this out) or implementations with certain extensions. This is because Tridion traditionally made use of distributed transactions and these are not supported on AWS or Azure and legacy style code still needs MSDTC. In all cases, you can only use the SQL Server engines which has a cost impact over and above the MySQL engine options on AWS RDS but is cheaper than the Oracle engines. If you use a version of SDL Web prior to Web 8, you should note that you can use Azure SQL or AWS RDS for the Content Delivery database but it is simply not supported by SDL. Topology Management is new product feature that replaces the existing (now deprecated) Publishing management (e.g. 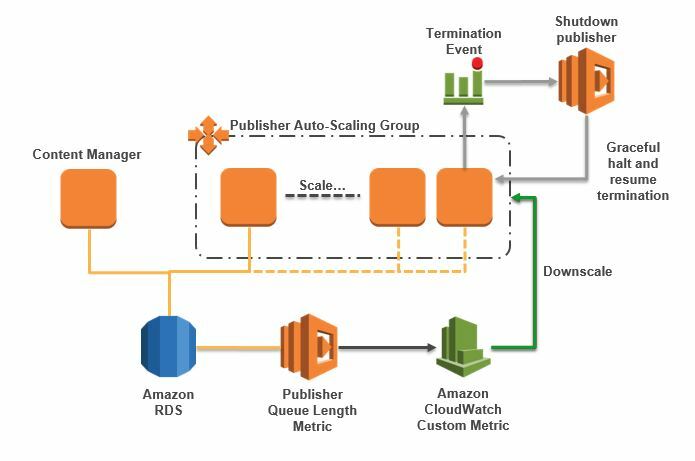 Publish Targets) with a more advanced approach which clearly de-couples the configuration of publishing from the management of content and makes the configuration of delivery environment something tied to the environment (e.g. production) rather than the content management database. Managed through Powershell, the Topology Manager manages the relationships between publications and delivery environments. There is a .NET API which means automation options from other applications that are not PowerShell compliant is possible and an example of using that API can be found here. Topologies: combines one or more content delivery environments which have a particular Topology Type (including Purposes). Business Process Type defines how content flows through the organization (published or not) and in this context what topology type and target types, defines the Minimal Approval Status of a target type and the priority which both used to be in the publication target. The Business Process Type is in a publication and can be inherited through the child publications. The features increase the complexity of publishing management and it is a little frustrating there is no user interface as this was one of the nice features of the current publishing approach. Whilst I support the move, it has yet to be seen how much this would be an advantage in an automation / NoOps approach over what you could already do through existing APIs. For now, there is no need to change to the new approach, so the advice to customers would be to sufficiently test with the new approach before rolling into a production situation. Pausing the Publisher service: Pausing means that the Publisher does not pick up any new transactions, but does keep processing deployment feedback on items already send for deployment. Assuming you can test if it has completed all feedback items it had open (?) then a graceful destroy of a server could take place. Graceful shutdown of Publisher service: Shutting down the Publisher service will allow the following to take place before shut down is completed; all transactions that have not yet been transported back in the publish queue (set to Waiting For Publish) and all transactions that have the transaction state “Scheduled for Deployment” have sent their commit packages to transport. Graceful deactivation and reactivation of a Content Delivery environment: halting a Content Delivery environment for maintenance is now possible from the Content Manager server. The documentation is unclear with what happens to publishing transactions being pushed to other sites as well as what happens to records (e.g. audience manager) that are written to databases belonging to redundant databases in other deployment stacks. Decommissioning of a Content Delivery environment: You can decommission an entire Content Delivery environment without having to unpublish content first. The major change from architecture side for delivery is the introduction of Content Delivery as a Service or CDaaS for short. This new feature means that web applications can feed content from a SDL Web using a microservice approach. This approach allows non-Tridion (Web) skilled teams to talk to Web and minimizes any impact the libraries for Web would have on other applications. Development and maintenance of the CDaaS and connected web applications can all happen separately on their own development tracks and upgrades to CDaaS will not affect the applications using the content (assuming the interfaces are reverse compatible). 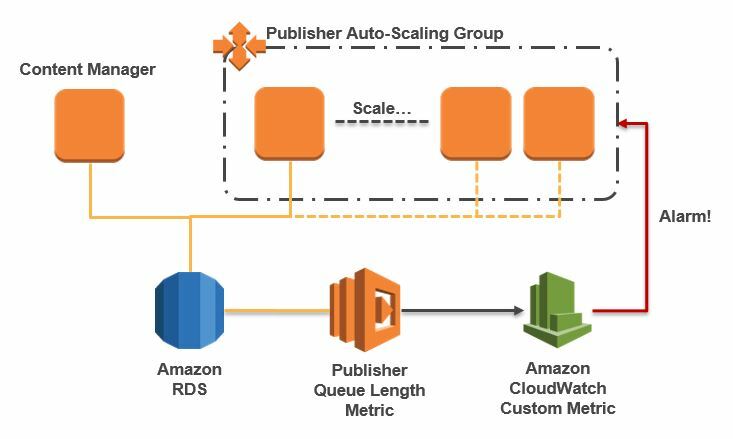 You can scale the CDaaS microservice separately to your other application services (a concept drawn from microservices architectural approach) which means that applications that are not content rich need not have large content delivery farms. The Discovery Service is now the know it all of the delivery farms, with the centralized webservice being the go to point to understand what content delivery endpoints there are deployed. The topology manager (see above) needs to only talk to the Discovery Service to get everything he needs to know.